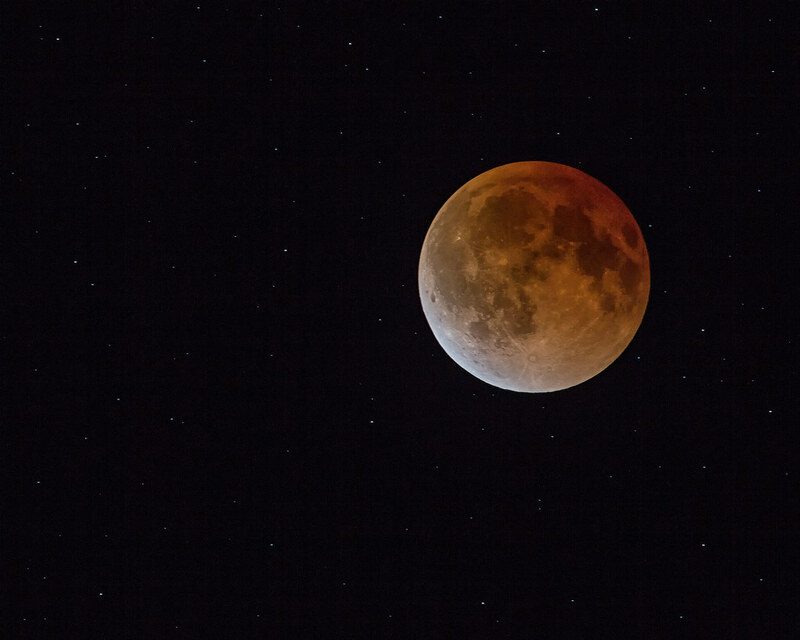 There was a total lunar eclipse over much of North American early this morning labeled the "Blood Moon" — so named because of the color Earth's shadow casts on the full moon. Here the moon is just beginning to emerge from totality at about 2:30 AM local time. Total lunar eclipses have about eight stops less illumination than with a normal full moon.